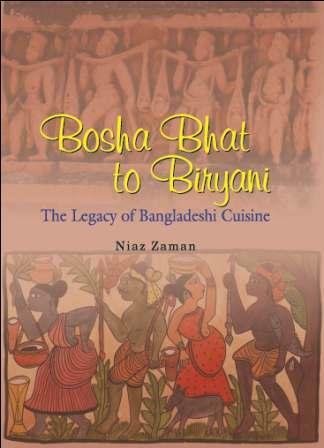 More than just a book of recipes, Bosha Bhat to Biryani, traces the many culinary strands that have gone into the making of what is Bangladeshi cuisine today. From the indigenous bosha bhat to the rich biryani, from the humble kechki fish cooked in banana leaf to the hilsa musallam, from the Portuguese vindaloo to the English caramel custard, the book provides a variety of everyday dishes as well as special dishes for special occasions. 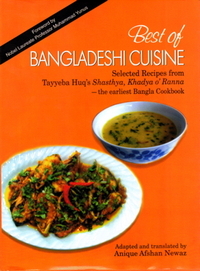 It also provides recipes for a number of Dhaka culinary delights including murgh polao and bashan pudding. 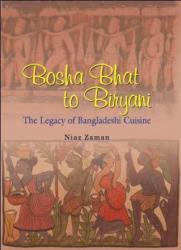 The book includes detailed recipes for making varieties of pithas as well as guava jelly and tangerine marmalade. The Introduction and the prefatory notes to the dishes put the cuisine in a historical and cultural context. But, Bosha Bhat to Biryani is also a personal testament to the joy the writer has found in cooking and a tribute to all the cooks, paid or unpaid, who enriched her culinary repertoire.